For 25 years, establishment politicians have talked about tackling global warming – since discussions held in the run-up to the Earth summit of 1992. Most of them now agree that human action is driving potentially catastrophic climate change. But, as BEN ROBINSON reports, they have done nothing to deal with this threat, bound as they are to the profit-driven capitalist system they represent. Originally published in Socialism Today, Issue 194 (December 2015 / January 2016), the political journal of the Socialist Party (sister party of Socialist Alternative in England and Wales). The process taken as a whole is clearly farcical, or rather it would be if the consequences for humanity and the planet were not so grave. Exasperated by covering multiple climate conferences in 2006, BBC reporter Richard Black described delegates to the Nairobi conference as ‘climate tourists’, who attended “to see Africa, take snaps of the wildlife, the poor, dying African children and women”. But beyond the individual characters of the delegates at the COP conferences is the intransigence of big business to countenance any threat to their immediate bottom line, and the slavishness of governments who defend those vested interests at all costs. Commissioned in 2006 to write a report on climate change for Britain’s last Labour government, Nicholas Stern said that climate change was “a result of the greatest market failure the world has seen”. 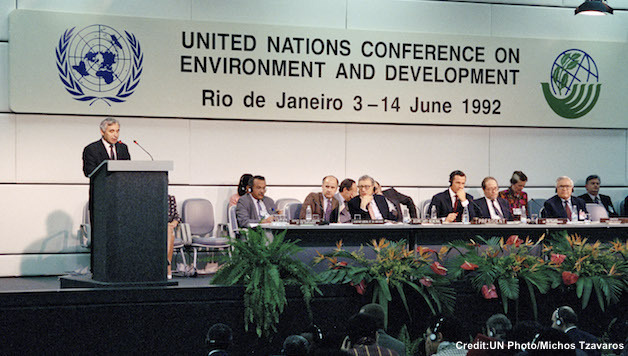 In concrete terms, the high point of the UN process was the Kyoto agreement, which only ever committed around 60% of the world’s polluters to action – action that was both less than what was necessary and riddled with easy loopholes. Often conferences are concluded with huge official optimism from participating governments and NGOs, but this has just served to deceive, inveigle and obfuscate. Previous articleUnite Against Police Repression in Minneapolis!